Home | Resources | Helping Your Teen | How Can Animals Help in Therapy? How Can Animals Help in Therapy? As any pet owner knows, there are benefits to having animals around. Animals can decrease blood pressure, provide unconditional love and offer joy for people with depression. More and more, animals are being used therapeutically to help patients overcome mental health issues, treat conditions such as post-traumatic stress disorder and rehabilitate teens. Having a pet can give patients a reason to get out of bed in the morning—and someone to share their frustrations with. Animal Assisted Therapy (AAT) is a growing field that uses a variety of animals—dogs, horses, cats, birds, fish, llamas and snakes—to help patients in therapy. A 2007 study found that animal-assisted interventions result in significant health benefits, including improvements in blood pressure and decreases in depression, anxiety and loneliness. Maybe dogs really are man’s best friend. Animals are special for a lot of reasons. Their ability to help in therapy is just one of them, especially with equine therapy and animal-specific therapy becoming more prevalent as a treatment option. People with pets are often less lonely and happier than those without pets. Emotional Support Animals (ESAs) go one step further and can help with anxiety. Acting as a middleman (or in this case, a middle animal) animals often provide a way for people to get in touch with emotions they’re too afraid to experience otherwise. 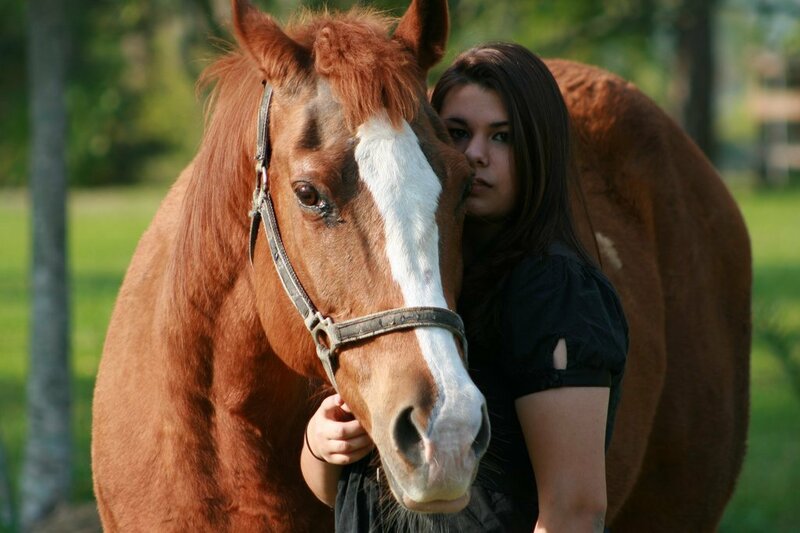 Horses, specifically, have the ability to be sensitive to the emotions of a distressed teen, providing them support. Anyone with a pet or animal will know that having a furry friend around is certainly less lonely. If a teen struggles with trust issues, animals can be a great way to help repair this. Trusting an animal can be easy and these feelings are often able to translate to trusting people. An animal will always love you if you show it love first! By having a companion in a pet, teens are able to build confidence and self-esteem by fostering a loving relationship. Seen in veterans, animals are able to help with PTSD by being both a companion that encourages assertive but not aggressive communication while also being a watchful eye when the person in need is having trouble sleeping.